Out designer Stefano Gabbana has dismissed critics angry that he dressed Melania Trump, the wife of President Donald Trump, for her official White House portrait. Released Monday, the portrait, taken by Regine Mahaux, featured Trump wearing a Dolce & Gabbana blazer. 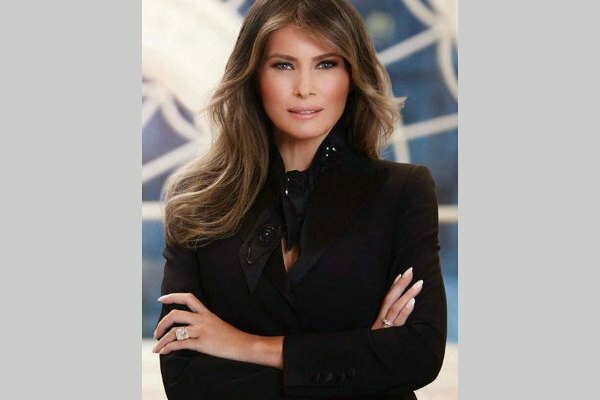 “#DGWoman BEAUTIFUL #melaniatrump Thank you #madeinitaly,” he captioned Trump's portrait on Instagram, along with a mix of heart emojis and the American and Italian flag emojis. Gabbana blasted negative commenters, telling one user in Italian to “go to hell.” Some users also criticized Trump for not wearing an American designer. Gabbana also praised Trump – and lashed out at critics – after she wore a $2,995 Dolce & Gabbana dress on New Year's Eve. Top designers who have refused to dress Trump include Tom Ford, Zac Posen and Christian Sirano. In 2015, Gabbana and his design partner, Domenico Dolce, created controversy when they criticized gay adoptions and called children born through IVF “synthetic.” Madonna, Elton John and Ryan Murphy were among the celebrities who criticized their comments. The business partners have since apologized.